Instantly transform your bedroom with our reversible Winter Brush printed Comforter sets. Made with All-Season 240 GSM Down Alternate Filling and our signature 110 GSM ultra-soft brushed microfiber fabric. 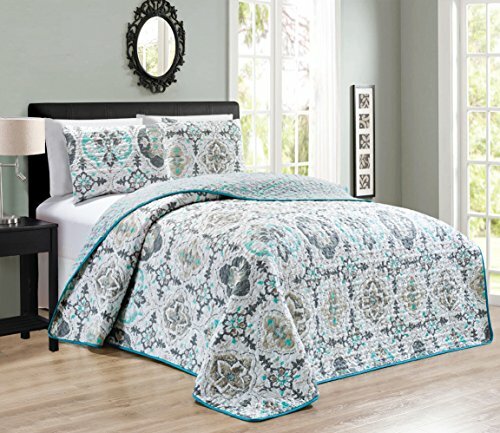 These Comforter sets include One Sham for Twin/Twin XL size and Two Shams for Full/Queen and King/California King sizes. 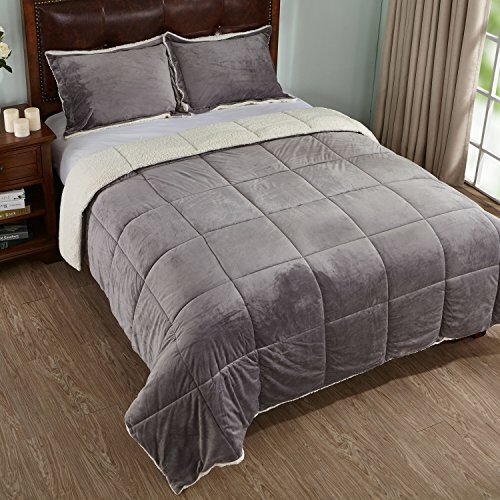 Twin/Twin XL Set Includes: One Reversible Comforter 68 inches wide x 98 inches long and one sham 20 inches x 26 inches. Full/Queen Set Includes: One Reversible Comforter 92 inches wide x 92 inches long and two shams 20 inches x 26 inches. King/California King Set Includes: One Reversible Comforter 98 inches wide x 108 inches long and two shams 20 inches x 36 inches. A Finished Product. Does not require a Duvet Cover. But can be used as an insert, if desired. Comes in Several Beautiful Colors. Matching Printed and Solid Sheet Sets and Quilts and Duvets and also available. Easy Care – Machine Wash Cold. Tumble Dry. Ideal for everyday use. The product will not fade or Shrink. 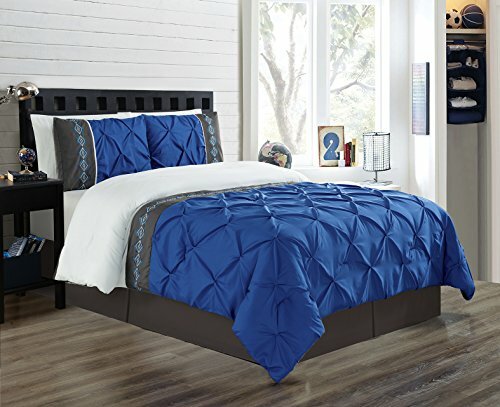 KING / CALIFORNIA KING Size is a 3-Piece Set and Contains One Comforter: 98 in wide x 108 in long, Two Shams: 20 in wide x 36 in long. Made with 240 GSM of Down Alternate Filling and our Signature 110 GSM Microfiber Fabric. BUY WITH COMPLETE CONFIDENCE – This is a Southshore Fine Linens® Product and Comes with a ONE YEAR Warranty. We strive for 100% Customer Satisfaction. If for any reason you are not satisfied, please contact us and we will take care of you. Please make sure you are buying from Southshore Fine Linens® or our FBA Account to qualify for this Warranty. We do not have any Authorized Dealers. We promise to do our absolute best to resolve any issues you might have. EASY CARE – Machine wash in cold. Tumble dry low. Remove Promptly. Comes in Twin/Twin XL, Full/Queen, and King/California King Sizes. Matching Sheet Sets, Duvet Cover Sets, Quilt Sets, and Pillow Cases Also Available.